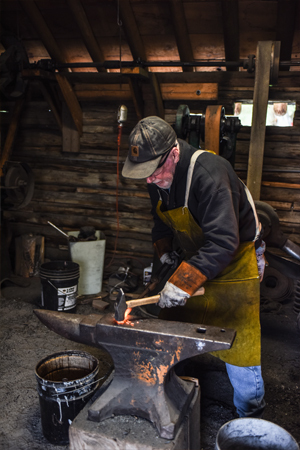 The black smith shop came from a homestead claimed by Ordway Mellon in Walden, Colorado. 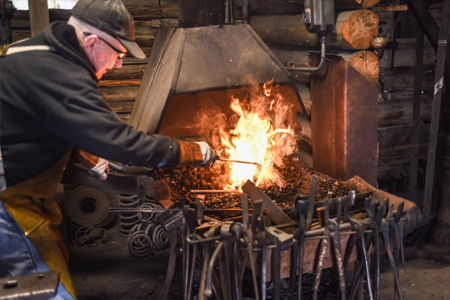 Mr. and Mrs.Veneta Haworth donated the blacksmith shop to the museum in 2004. They purchased the homestead from Ordway and had ranched on this property for years. 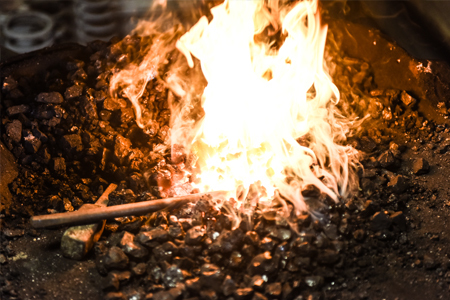 The shop is currently run by Terry Carwile under the name "Broken Box Forge" which comes from a sheep brand belonging to Lou Wyman. You can catch Terry working in the shop and see how the entire operation runs. Terry is also currently accepting custom orders, contact the Wyman Museum for more information.